Optimizing your website for mobile is more important than ever. More than half of all visitors to most websites are using some sort of mobile device. If your website has a mobile URL, Google deems these more relevant and most important in most cases. If you are considering working with white hat SEO services to help with mobile indexing, here are seven steps to follow. Some experts predict that all sites will eventually go to mobile-first indexing, even if they are desktop sites or not mobile-friendly. So, this is a major issue to pay attention to. Some of these types of websites have already been moved to mobile-first indexing. There has been a cache bug reported where Google displays the 404 error for pages that recently transitioned to the mobile-first indexing. It looks as if this bug does not negatively affect the crawling, indexing or ranking of the websites, which is a good thing. According to most white hat SEO services, Google now shows the mobile websites to users searching on mobile devices and the desktop URL to users searching on a desktop. This only works if the URLs are different. As an example, a mobile URL would be like this: http://m.mycoolwebsite.com. A new and upcoming speed update (how fast your site loads) is not related to the updates in mobile-first indexing. Upload speeds are still very important, but as of now aren’t included in the changes we are covering here. If you pay attention to your site’s crawl rate, you might see a slight increase, but that is likely due to Google reindexing all these sites. Most people will not notice any changes. Most white hat SEO services agree that, in the case of mobile, the key to boosting Google rankings is having a site that is mobile-friendly. 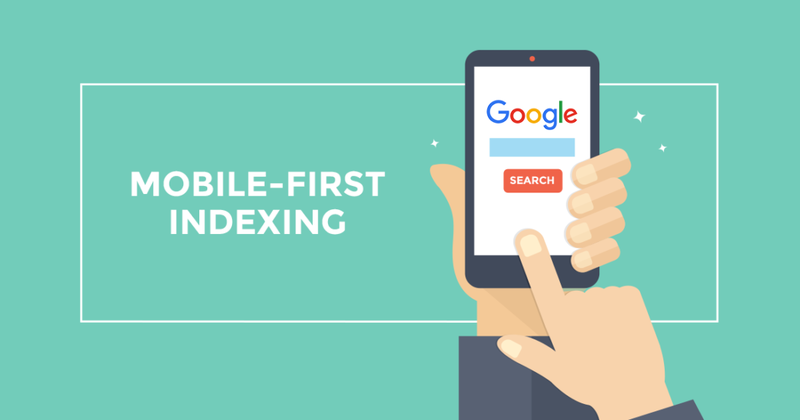 Just because there is a shift to mobile-first indexing doesn’t mean your site will move up in the rankings. Don’t be worry about any effect to menus, tabs and expandable menus during this reindexing for mobile. Those areas and features should work as normal. This entry was posted in Advertising, Marketing, Mobile, SEO on by Seo Tuners. Several months ago, search engine giant Google announced an upcoming feature to the way mobile search engine optimization functions, insofar that websites would have to pay heed to their implementation of mobile interstitials as per Google, or else suffer the consequences of a penalty to their online search rankings. Mobile interstitials have often been a simple and highly effective, if arguably irritating way to build traffic to a specific product or page, and even rake in sales. Typically, an interstitial takes the form of a large intrusive pop-up with a very small removal icon, sometimes giving the first-glance impression of being on another page, or interstitials that completely block the view of content for no good reason other than advertisement or other promotions. Google made the decision that these interstitials are counterintuitive to a quality browsing experience, and have instituted rules regarding their usage. However, the crackdown isn’t as far-reaching as some might expect. Interstitials that fulfill a legal requirement, such as an age verification. Interstitials that use a reasonable amount of screen space (mostly unobtrusive) while being easily dismissible. On top of that, interstitials found deeper within a website (on non-indexed pages, unavailable through Google’s results. As such, if a visitor finds a page not through Google but through the website itself, and is confronted with an interstitial, the use of that interstitial will not be penalized. Google began initiating the penalty as far back as November, but it wasn’t until January that it truly became an official part of Google’s mobile SEO algorithm. Basically, Google would check through a signal for use of such interstitials on indexed pages, and would implement a penalty to your page’s potential in rankings, to help crack down on their usage. While apparently the changes have not been immediate, it’s clear that this web design and marketing tactic will require the expertise of a penalty recovery and design expert to correct. This entry was posted in Advertising, Content, Local, Mobile, SEO on by Seo Tuners. Publish up-to-date content. Make sure you put out new content regularly. The Entrepreneur says adding new content to your pages helps your site rank for more keywords and improving your chance of getting search-generated traffic. Fresh content also shows your target market that there’s something worth visiting in your site every week, ensuring a steady stream of traffic to your pages. Be active on social media channels. One way to generate consumer engagement is by being active on social media. Consumers love it when you respond to them quickly. By commenting or posting or liking posts, you can build up a following on your social media pages, one that could boost your traffic even further. Putting out great content. Great content is content that speaks to your audience and resonates with them. Forbes says Google likes high-quality, well-research content that’s error-free. So do your best to provide that kind of content to your consumers. Stay away from content that’s too vague to be helpful, too outmoded to be accurate and too poorly researched to even be credible. Don’t know how to do this? Hire an affordable website SEO company to help you out. Avoid duplicate content. Proofread your pages to make sure you don’t have the same content in different pages of your site. If you did that deliberately, though, find another way to convey that message without using the same content, says Business2Community. Never plagiarize. Some people think lifting sentences straight out of other sites is acceptable practice. It’s not. It doesn’t just put your site at risk from getting penalized; it’s also not a great way to drum up consumer engagement and interest. After all, one way for you to engage consumers is by differentiating yourself from the rest of the competition. You can hardly pull that off if you’re plagiarizing content from other sites. By using unique content that reflects your brand, your service, your product, you can hook your audience and put them right where you want them. Don’t think so? Think about the best brands in the world. They sound like no one else. That’s one of the reasons consumers love them. Get your site mobile ready. With the growth in mobile Internet use, there’s a whole new market out there. Your target market is now using mobile to go online and that opens up a lot of marketing and advertising possibilities for you to explore. You could develop a shopping app or game, one that allows you to develop an even closer relationship with your audience. Use images. One way to break up the monotony of long content is to use images. Don’t overdo them, though. Too many images could kill your page ranking and leave you right back to where you started. So boost your rankings. Improve your traffic. And learn more when you start using search engine optimization to get your pages—and your product/service—to more of your market out there. This entry was posted in Advertising, Marketing, Mobile on by Seo Tuners. How do you measure success? The most common response to this question in the business world is ROI (Return on Investment). So how does one measure the success of a banner ad? The answer isn’t as cut and dry as we would like. Banner ads can be displayed across multiple platforms and in different sizes, which can drastically alter the message they carry to consumers. Sometimes the greatest measurable benefit of display banner advertising isn’t in dollars and cents, but in information that is collected during the campaign. The first banner ads have been around since 1993 and their evolution has skyrocketed ever since. Web banners function the same way as traditional advertisements are intended to, by notifying consumers of the product or service and presenting reasons why the consumer should choose the product or service being presented. With the proliferation of smart phones and tablets, the race for more innovative banner advertising has become hotly contested. “Viewability” – ads that are at least 50% visible on a user’s screen for at least one second – is one of the most important factors and can induce more genuine clicks from buyers. With the use of hand held devices increasing daily, the question for advertisers then becomes how to use the limited digital space effectively. Video is hot right now, not only in the U.S. but throughout the world, and is an excellent vehicle with which to capture the consumer. In Europe, banners with videos and video ads outperform all other banner formats in every metric, including engagement rate, engagement time and CTR. Pre-roll video ads on publisher sites and YouTube were particularly hot in 2013. Youtube has pioneered the use of video banners, which have recently knocked Facebook banners (99x72) off of the list of top ten favorite banner ad formats used by advertisers. The “media as a message” approach by Youtube video banners allows businesses to present themselves in a unique way, when and where it matters most. The limited amount of time these ads have in front of the consumer means that they have to be engaging, use the right message and evoke just the right passions in the consumer. This exercise in advertising alchemy is not for the faint of heart and best left those who live, eat and breathe internet marketing. The data gleaned from banner advertising can be useful for both brand exposure and performance metrics for more targeted advertising. To ensure that a campaign is generating useful data, banners should be designed to promote specific awareness-raising goals, such as “likes” on Facebook, or downloads of coupons. This data can be used to retarget interested consumers who’ve shown affinity to a particular brand, product or service. Whether you are focusing on building a brand or performance advertising, mobile is pivotal to reaching your audience. Research shows that 90% of people move between devices to accomplish a goal, so reaching customers on-the-go is more important than ever before. All too often marketers rely on display ad campaigns via laptops and desktops to reach an increasingly mobile audience. This is a mistake. In Europe, parts of Asia, Africa, South America and the Middle East, smart phones and tablets are far more important devices. The goal should be to think multi-screen from the beginning, and choose standardized formats that are easy to benchmark. The space being somewhat limited does mean that the right message must be paired with the right creative to produce the desired results. SeoTuners can help you achieve your performance marketing objectives to grow leads, win new customers, and increase conversions. This entry was posted in Local, Marketing, Mobile, SEO, Social on by Seo Tuners. Despite mobiles becoming an integral part of our lives, most of the websites haven’t yet made their websites mobile friendly. Considering that 25 % of search traffic comes from mobile, websites must make a mobile version of their sites for more traffic. If you have mobile HTML sitemap, then add an XML sitemap to your site and submit it to search engines. This will ensure that when searched, Google displays the result of your separate mobile website. Don’t worry, a separate mobile site is easy to achieve and allows for greater SEO techniques for mobile optimization. But make sure that the descriptions are mobile friendly too. Get in touch with us at 877-736-1112 or visit SeoTuners.